Just days after Target went under fire for a highly contested Christmas sweater and hours after Bloomingdale’s issued an apology for offending customers in a misleading catalog ad, Nordstrom is now the latest retail giant to get heat for a product they were offering shoppers this holiday season. Earlier this week, talk about Nordstrom's Faux Real "Chai Maintenance" Hanukkah sweater started circulating on social media, with customers flooding to Nordstrom’s Facebook page to express their disgust in the item. "I'm disappointed to see that Nordstrom is selling such an offensive item that perpetuates negative stereotypes of Jewish women," wrote one user. "I hope you remove it from your inventory." The festive blue shirt, being sold in the retailer's "ugly holiday sweater" lineup, shows a large menorah across the front emblazed with the words "Chai Maintenance" at the top. Many Jewish women believed it to be distasteful towards their faith, as the Hebrew word chai – meaning life – is pronounced "high," alluding that Jewish woman are high maintenance. Nordstrom responded by pulling it from shelves. By Thursday morning, the product was no longer able to be found on their website. "I'm glad Nordstrom took it down," one Facebook user wrote. "Cute and kitschy is one thing but perpetuating negative stereotypes as supposedly cute or fun holiday wear is disgusting. 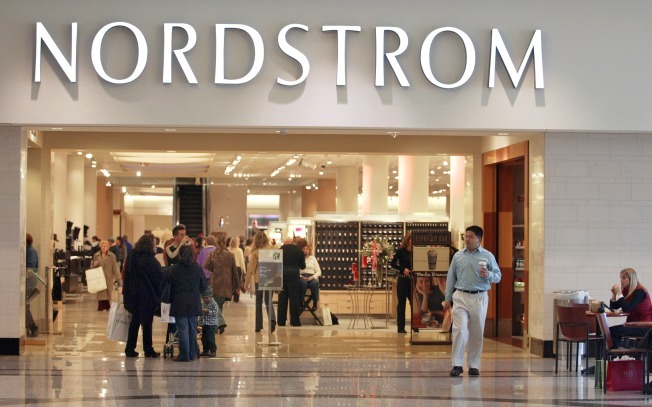 I expect more of a large high end retailer such as Nordstrom. Especially when the version for men is just cute, why is the version for women derogatory?" Some customers, on the other hand, were not offended by the ensemble. "Hey Nordstrom, I'm Jewish and a huge fan of these sweaters, where can I get one from now you've stopped selling?" another shopper wrote. But it was too late, with the company responding: "We appreciate your interest, however, the sweater is no longer available for purchase."